Happy International AIDS Memorial Day! The conversation which had been going at lightning pace, stopped momentarily. For those in the dark, Aaron, who had heard about the volunteer work that I had done, was interested in venturing into the field. As far as I know, the nurses informed you that the patient was HIV+, and that was well, that. Aaron then pressed with “Don’t you wear gloves?”, and it was then that I realized where this was all going. Like most people, although he knew that HIV was not transmitted through casual touch, there was still fear. Fear- a word which still plagues society today, when it comes to the unknown. Which brings me to my next point, something which both Aaron and I agreed on: Knowledge, without exposure, is useless. The mass media has done lots to educate the public on HIV and AIDS; the public knows how HIV is transmitted, they know how it is not transmitted, and yet, how many would actually reach out and touch a person infected with it? I once saw a very educated person not wanting to lend her handphone to a patient who had AIDS. It was not because she was selfish, but simply because she was afraid she would be ‘contaminated’. Which goes to show that even the best-educated shy away from the unknown. It is not a sense of superiority which precedes this behaviour, but rather, a lack of exposure to what we only read in the papers or hear on the radio. HIV-infected individuals do not look any different from us, and if left in a room with one infected individual, and 9 other ‘normal’ ones, I doubt anyone can tell the difference (hey, remember the radio PSA a while back?). As a volunteer, the message you convey is important, and there is only one message that people want to hear- you are here because you want to and because you care. What message would you be telling a child (or an adult for that matter) if you wore gloves while making a ‘show of caring’? Because inherently, your words mean not. It is your body language which speaks the loudest, and sincerity can be felt. All is not lost. We can still make a difference. And we can all start by reaching out and hugging the first HIV+ you know off. Or if you’re apprehensive, how about just a simple handshake, a firm one? There is this one quote I want to share, which I read on a wall a while back: “Instead of putting others in their shoes, try putting yourself in their shoes”. How true. Ultimately, we should treat others the way we want to be treated. The Golden Rule, has again, spoken. 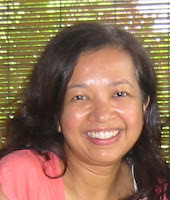 Datin Paduka Marina Mahathir, or MarinaM as she is known in the cyberworld, is Malaysia's most loved (and most famous, I might add!) champion of the rights of PWLHA's. She pens The Star's Musings, a forthnightly column, and has often highlighted the plights of PWLHA's through her column. She currently serves as the advisor of the Malaysian AIDS Council (MAC). Pi Bani is currently a volunteer with NGO 'The Buddies Society of Ipoh'. Buddies provides moral and emotional support to PLWHA's. Pi Bani has been with Buddies for about 3 years now, and she has done an amazing job helping these people, whom she affectionately calls 'clients'. Her blog (Pi's Twist) is an excellent read on their plights. To everyone else who is involved in the crusade against AIDS and HIV, I salute you too! Thanks Daphne. I met Pi Bani for the first time today and she is great. Just completely relaxed about doing the fantastic job she does. Wish there was more like her. Wonderful entry, Daphne. A reflective remark, I must add. "Because inherently, your words mean not. It is your body language which speaks the loudest, and sincerity can be felt." To MarinaM and Pi Bani, keep up the good work.